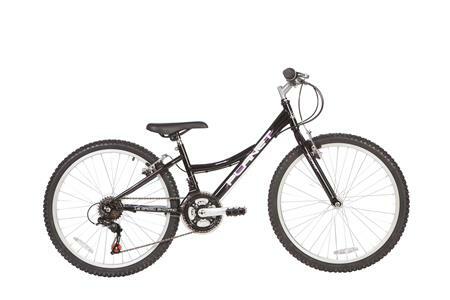 The Planet Essence 24″ is a Girls mountain bike made of a solid high quality frame, perfect for short commutes. It features a Shimano 18 speed indexed transmission, with twistgrip shifting. Other features include lightweight alloy rims and a powerful “v” brake system. Features: 24” Alloy Rims, 24” x 1.95” All Black Tyres, Alloy ‘V’ brakes, ATB style pedals.